Industrial looks in a classic form. 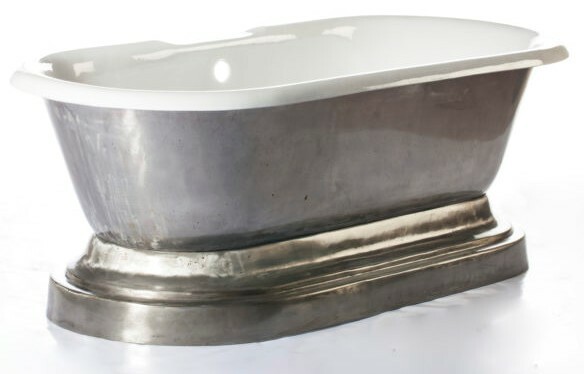 The exterior of the Doyle tub is raw cast iron with a polished finish showing all the flaws of the natural metal. 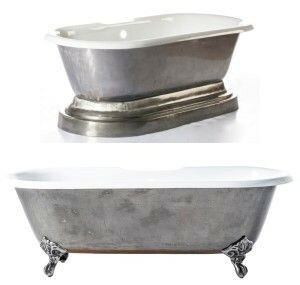 Find a claw foot tub or one with a pedestal base. Both styles offer slopping backrest on both sides and a faucet deck. 67 3/4" x 31" x 23 1/4"
67 3/4" x 31" x 25 1/4"